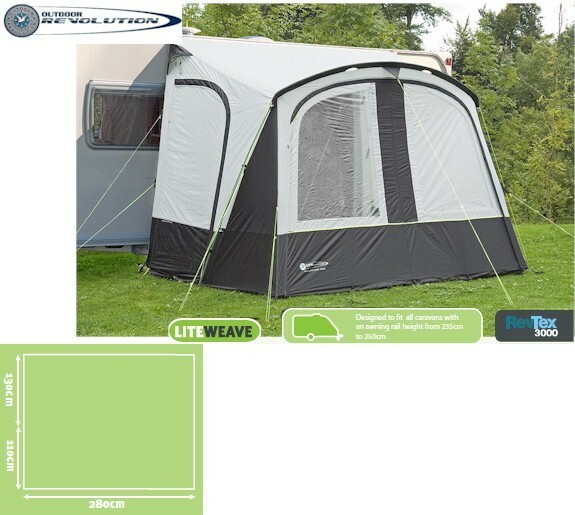 Repeated for its second season is the Porchlite 280 - larger that the Porchlite Square (and much more hip) this lightweight awning has a rail length of 280cm and a larger projection (240cm) than its smaller relative. 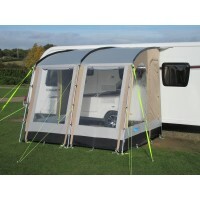 The Porchlite 280 features 19mm steel pole frame and a 190T PU coated polyester flysheet providing 3000mm hydrostatic head protection. 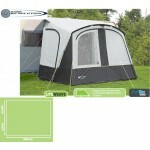 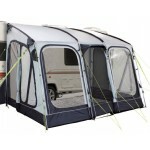 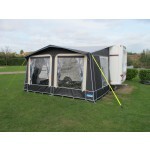 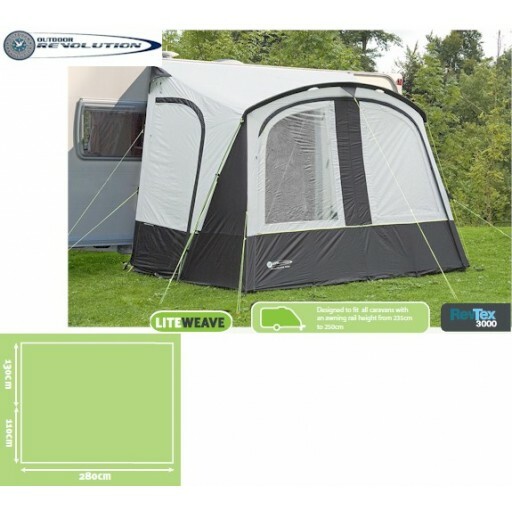 The awning features roll away front doors, 2 side tie-back 'J' doors, two large front windows with internal curtain covers. 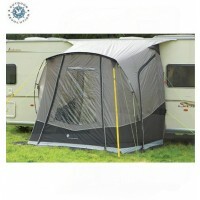 Storm straps and handled carry bag included. 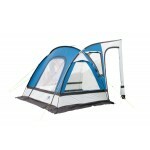 Outdoor Revolution Porchlite 280 Porch Awning.